For questions regarding these terms, contact us at 800-452-7418 x9046 or send an email to accounting@inovity.com. Scope. Inovity shall provide to Customer such Services and/or Hardware as purchased by Customer in accordance with a quote, statement of work, order or proposal and as further defined below. Shortages. All claims for shortages must be made by the Customer in writing within a period of 48 hours from receipt of Goods (products described on the reverse side hereof). Unless such notice is given within the stated period of time, Customer agrees that it shall be conclusively presumed that Customer has fully inspected the Goods and acknowledged that NO shortage exists. Security Interest. Customer grants to Seller a security interest in all Goods sold to Customer herein together with all parts accessories, attachments and accessions now or hereafter installed in or affixed thereto an in all proceeds and hereby irrevocably appoints and authorizes Seller as its agent to execute on its behalf all financing statements on Customer’s behalf. Upon any default by Customer of this agreement, Seller shall have all rights and remedies of a secured party under the Uniform Commercial code, which rights and remedies shall be cumulative and not exclusive. Payment. Unless otherwise agreed in writing by Seller, all credit purchases must be paid in accordance with Seller’s normal terms of sale which are Net 30 from date of invoice. All past due amounts are subject to a 1.5% monthly financing charge or the maximum permissible under applicable law. All drafts dishonored for any reason shall be assessed a $25.00 service charge. In the event that the Customer stops payment on any draft issued to Seller, for any reason, Customer hereby recognizes that Seller would suffer damage, the exact amount which cannot be determined with certainty and Customer shall pay Seller liquidated damages of $500.00 for each such draft. In the event that I utilize a credit card to purchase Goods, I agree that I will not unnecessarily dispute such charges and further agree to use my best efforts to resolve any good faith dispute. Returns. The terms for Goods are limited to those set forth in Seller’s policies and procedures. Notwithstanding any provision to the contrary, a copy of the original purchase invoice and a return merchandise authorization must accompany all returns from Seller. All returns are subject to a 15% minimum restocking fee and must be received by Seller with the original packing materials and cartons in like-new resalable condition. All returns are subject to in-house credit only. It is within Seller’s sole discretion to issue cash refunds. No returns for credit after 30 days, repair or exchange only. Default by Customer on payment of any installment, invoice, bill or any other indebtedness or obligation now or hereafter owed by Customer to Seller under this agreement. Default in the performance of any obligation, covenant or liability contained in this agreement or any other agreement or document with Seller. Any inaccuracy warranty, representation or statement made or furnished by Customer. Dissolution, termination of existence, discontinuance of Customer’s business, insolvency, business failure, or appointment of a receiver of any part of the property of, or assignment for the benefit or creditors by Customer or the commencement of any proceedings under any bankruptcy reorganization or arrangement laws by or against Customer or the attachment, levy, seizure or garnishment of any Customer’s property, rights, assets (contingent or otherwise) or by the Goods. Demand or, without demand, sue for amounts then due or thereafter acquiring under any invoice, bill or other documentation evidencing indebtedness. Suspend deliveries as to any or all Goods. Take possession of the Goods wherever found and for this purpose enter upon any premises of Customer and remove the Goods, without court order or other process of law, without any liability for damages, suit, action or other proceeding by the Customer for such entry and/or removal. Cause Customer, at its expense to promptly return the Goods to Seller in good, like-new condition. Sell the goods, or any part thereof at public or private sale (for cash or credit) at such time or times as Seller shall determine, free and clear of any rights of Customer, and if notice thereof is required by law, any notice in writing of any such sale by Seller to Customer not less than 10 days prior to the date thereof shall constitute reasonable notice thereof to Customer. Exercise any and all rights accruing to Seller under any applicable contract or law upon a default by customer. Mitigation of Damages: Should Seller repossess any of the Goods because of a default by Customer, Seller may make a commercially reasonable effort to sell Goods at a reasonable price to a third party, provided, however, that Seller shall have no obligation to actively seek out and solicit potential sellers and buyers for said goods. Collection Costs: In the event of any default on the part of Customer hereunder, Customer shall pay any and all collection costs, including reasonable attorney’s fees incurred by Seller. Rights and Remedies Not Exclusive: No right remedy conferred upon or reserved to Seller by this agreement shall be exclusive of any other right or remedy herein or by contract or law provided, all rights or remedies conferred upon Seller by this agreement and by law shall be cumulative and in addition to every other right or remedy available to Seller. Indemnification. Customer agrees to and shall indemnify, defend and hold harmless Seller, its employees and agents for and against all claims, lawsuits and losses from any third party using the Goods provided under this agreement. Any defense provided hereunder shall be by counsel of Seller’s choice. Disclaimer of Warranties; Limitation of Liability. SELLER IS NOT A MANUFACTURER OF GOODS AND MAKES NO REPRESENTATION OR WARRANTIES, EXPRESS OR IMPLIED, AS TO DESIGN, FITNESS FOR A PARTICULAR PURPOSE, MERCHANTABILITY, OR ANY OTHER MATTER. SELLER SHALL NOT BE LIABLE FOR LOST REVENUES, LOST PROFIT, LOSS OF BUSINESS OR ANY INDIRECT, SPECIAL OR CONSEQUENTIAL DAMAGES OF ANY NATURE OR ANY PERSONAL INJURIES. Seller’s liability for any failure of Seller to perform any of its obligations hereunder or the failure of the Goods in any respect shall be limited to the purchase price paid by Customer and this remedy shall be exclusive. Customer shall forever protect, defend, indemnify and hold Seller harmless against any and all claims, demands, causes of action, damages, expenses, (including without limitation legal costs, and attorneys’ fees) arising out of, or relating to, the use, operation and/or installation of the Goods including but not limited to claims relating to Customer or any of Customer’s employees, agents, independent contractors, guests and invitees. Acceptance of Purchase Order. Acceptance is limited to the terms and conditions of the order and/or invoice. Seller hereby notifies Customer of Seller’s objections to all terms and conditions in any other communication from Customer which are additional to, different from or conflicting with the terms and conditions herein. The failure by Seller to specifically object to any communication from Customer shall not be deemed an acceptance of any terms and conditions which are not stated herein. All terms and conditions set forth herein shall be deemed accepted by Customer upon Customer’s payment of this Invoice, Customer’s other acceptance or use of the Goods described on the reverse side hereof. Onsite Services. Customer shall provide such access to Customer’s facilities as Inovity may reasonably request, during Customer’s normal business hours or as otherwise agreed upon by the parties. 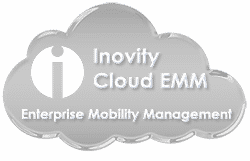 Inovity shall observe all reasonable access, health, safety and security requirements of Customer of which Inovity is informed in writing in advance and that are not inconsistent with Inovity own business practices. Customer shall make available to Inovity appropriate Customer personnel familiar with Customer’s equipment, software and/or applications. Except as set forth in an Attachment, any Services provided by Inovity at a Customer location will be provided on a time and materials basis. A “day” is an eight (8) hour billable workday during 8:00 AM to 5:00 PM, local time at the location of performance of the Services, Monday through Friday, excluding Inovity designated holidays. In the event that Customer requests Inovity to perform Services outside of these hours or days, fees for such Services shall be subject to Inovity then-current applicable rates. Associated actual and reasonable expenses include travel, lodging and project expenses incurred by Inovity in the performance of the Services. Waiver. No failure on the part of Seller to exercise, and no delay in exercising any right hereunder, will operate as a waiver thereof, nor will any single or partial exercise of any right hereunder by Seller preclude any further exercise hereof or the exercise of any other right. Severability. If any section, term, condition or portion thereof shall be found to be illegal or void as being against public policy, it shall be stricken and the remainder of this document shall stand as the original without regard to principles of conflict of law. Governing Law/Venue. This shall not be a valid and binding agreement unless and until accepted by Seller at its home office in Atlanta, GA. This agreement shall be construed and enforced in accordance with the laws of Georgia. All claims, actions, disputes, controversies or suits shall be litigated exclusively in the courts of Georgia. Entire Agreement/Modification. The parties intend this agreement to be a complete statement of the terms of their agreement and replaces and supersedes any prior agreements between them with respect to the subject matter hereof. No course of prior dealing or usage of trade shall be relevant to amend or interpret this agreement. This agreement may not be changed, modified or amended except by an instrument in writing signed by Seller and Customer.